Explore Mobile Cuisine’s enhanced destination for member benefits. Now everything membership offers can be found in one convenient, easy-to-navigate place. Mobile-Cuisine.com was developed to help existing and prospective food truck owners, suppliers, and food truck enthusiasts. Paid members have immediate access to all articles, audios, videos & downloads. With over five-thousand resources it’s a vast collection of tools to grow & expand your food truck business. Over 1500 how-to and feature articles with countless tips to make a difference for your food truck today. Money – Accounting, crowdfunding, finances, and taxes. Marketing – Branding, marketing and PR, and social media. Menu Help – Culinary lessons, menu design, and recipes. Technology – POS, under the hood, and your website. News – Get your daily dose of food truck news. FREE: It costs you nothing to post a catering job with us, all we ask is that you join the network in a BASIC membership level. PAID: The catering job section and catering job details ares restricted by our paying membership levels. FREE: Free level members can review and post jobs at full cost. PAID: Paid members can post unlimited BASIC job listings and get 50% off FEATURED listings. FREE: Free level members can review trucks and post reviews and claim their BASIC listing. PAID: Paid members can can review trucks and post reviews and claim their FEATURED listing. FREE: Can review listings but cannot claim or add supplier listings. PAID: Paid members may claim and add as many full feature listings as they want. FREE: Free level members can review vehicles and post vehicle ads at full cost. PAID: Paid members may post vehicle listings for free as part of their membership fee. FREE: Free level members can take free and paid online courses at full price. PAID: Paid members can take free and paid online courses at half price. Get $10 off the monthly service fee from GoSmallBiz.com. 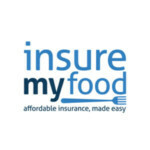 Receive a FREE insurance audit of your current food truck insurance plan. 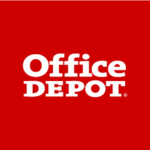 Get in-store discounts on 1000s of Office Depot products. 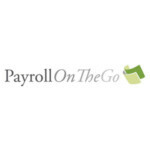 Receive 10% off the very competitive standard rate for ALL of your payroll services from Payroll on the Go. 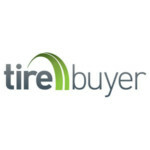 Save 10% on Your Order of Tires and Wheels plus FREE SHIPPING! 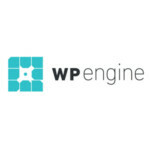 Get 20% off the first payment on monthly or annual website hosting plans. The Mobile-Cuisine.com mission is to support the food truck industry. Food truck vendor challenges are unique and we’re right there with you. We’ve been delivering the insightful tips necessary for success to food truckers for 8+ years now. Frankly, it’s never been as challenging as right now to run a successful food truck and so we’re going to keep fighting mercilessly to deliver the tactics you need to compete. There’s nothing more important than keeping the dream of great dining experiences every day & everywhere a reality! Upgrade or Become a Member Today!